IntelliScience real-time, precision measurement solutions can analyze, inspect, and grade virtually any product or process to your exact specifications. 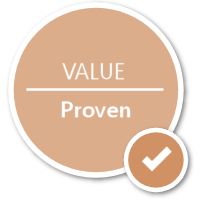 From raw material to final quality assurance, IntelliScience delivers the information you need. Timely, accurate information is the foundation for operational improvement. IntelliScience’s precision measurement solutions capture, manage, and deliver the information that powers critical applications and drives improved performance. 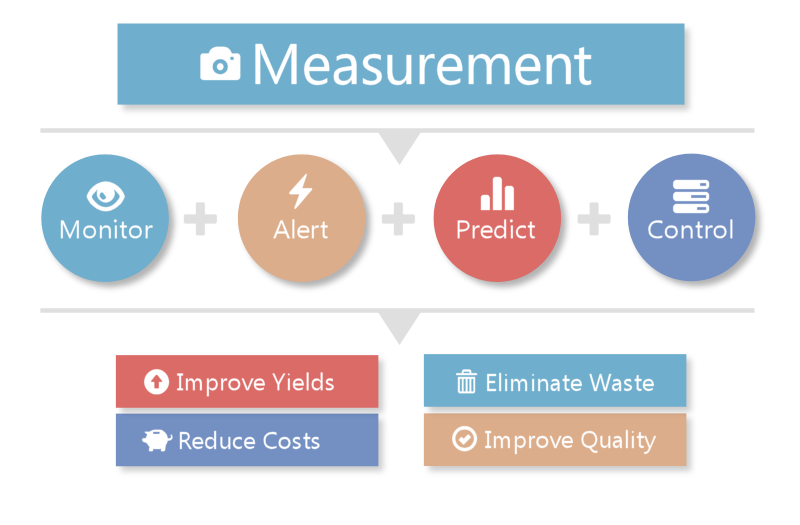 Capture timely and accurate metrics via flexible, real-time, high-fidelity, touch-free measurement. Support people and processes with information: monitoring, alerting, predictive analytics, and process control. Improve operations and deliver results: improve yields, reduce costs, eliminate waste, and improve quality. IntelliScience provides the software, tools, and services to convert light into images, images into data, and data into insights. 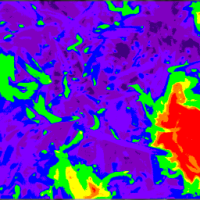 The IntelliScience software platform delivers precise, touch-free, in-process measurements in real-time and works with any camera or sensor, even leveraging the latest in hyperspectral sensor technology to go far beyond what the human eye can see. IntelliScience expands measurement and analysis from visible to thermal to chemical composition and more. IntelliScience’s experienced services professionals can help with all aspects of solution development, including sensor selection, placement and lighting, signature and metric development, environmental protection, system and data integration, predictive analytics development, and process control. Let us help you transition from Image to Insight. Traditional measurement methods often fall short when it comes to characterizing complex processes and fast-moving product streams. Manual sampling, by definition, measures a very small percentage of the product. In addition, manual sampling takes time, so metrics aren’t immediately available. Sampling is also labor intensive, and therefore expensive over time. This image depicts a measurement by a point-based sensor, effectively capturing metrics for the colored column of product that passes beneath the sensor. Notice how this approach misses significant variability in the product, which renders the resultant metrics inaccurate to the point of misleading. 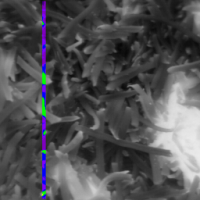 This is an identical image after measurement using IntelliScience. Each pixel in the image represents an independent measurement that is then aggregated and analyzed to provide consistent, accurate and statistically relevant metrics that you can count on. What is it that you really need to know? IntelliScience enables the concept of measurement to be approached from a completely different perspective in order to tell you much more. Even with extremely simple metrics, this additional information can be critical. What is it that you really need to know? What do you want to know about the temperature of your product? Temperature bias based on location? What do you want to know about the color of your product? Variance to a color standard or specification? Average color of a batch? What do you want to know about product defects? Number of defects by category? IntelliScience can provide all of these metrics and many more, at the same time, in real time. By leveraging advanced sensors, we can also provide sophisticated measurement of chemical composition, further enabling you to understand and control your complex processes. And, we make all that critical information available through our Metric Streaming Data Service, a scalable, easy-to-use, web-based infrastructure that enables critical monitoring, alerting, predictive analytics, and process control.